Arch-terrorist who led hunger strike to be banned from being visited by his wife until 2019. Israel has informed Fadwa Barghouti, the wife of the arch-terrorist Marwan Barghouti, that she will not be able to visit her husband until 2019. In an interview with PA media, Barghouti said that the ban stemmed from her support for her husband's hunger strike several months ago, which about 1,500 terrorist prisoners participated in. Barghouti launched the hunger strike in April to protest the conditions of terrorists in Israeli prisons. The hunger strikers issued a long list of demands, including expanded visitation rights, the restoration of free education, and access to more television channels. The Israel Prison Service released a video showing Barghouti breaking the hunger strike by eating sweets in his cell in early May. 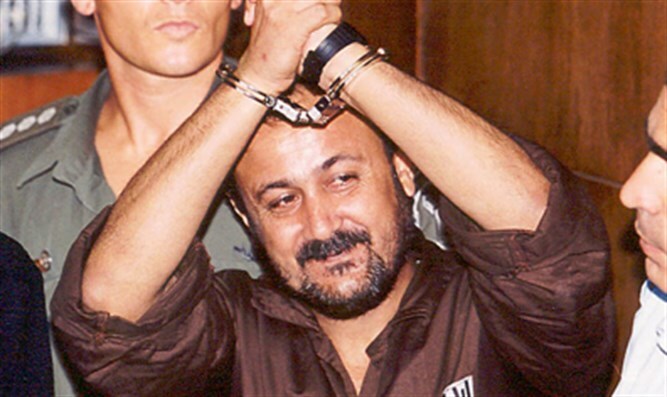 Barghouti is serving five life sentences for his role in the terrorist murders of 26 people in suicide bombings and shooting attacks during the Second Intifada.